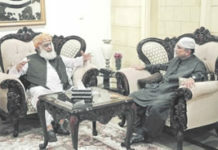 DHAKA: Diplomatic ties between Pakistan and Bangladesh stooped to new lows after the latter on Tuesday refused to accept Saqlain Syedah’s documents as Pakistan’s High Commissioner to the country and sought a new name for the post. The Express Tribune reported quoting diplomatic sources that the government of Prime Minister Sheikh Hasina Wajid did not mention any reason for refusing to accept Syedah’s credentials. 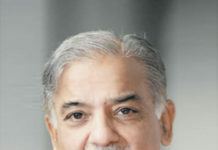 The post had fallen vacant after the retirement of Rafi zaman Siddiqui in February last year. Syedah was designated as new high commissioner to Bangladesh following Siddiqui’s retirement. She is a PBS-20 officer of the foreign service of Pakistan. Ties between Islamabad and Dhaka have been deteriorating since Hasina Wajid’s government resumed the trial of 1971 ‘war crimes’ that had been suspended after the 1974 accord between Pakistan, Bangladesh, and India.